Genetic changes stemming from the trauma suffered by Holocaust survivors are capable of being passed on to their children, the clearest sign yet that one person’s life experience can affect subsequent generations. The conclusion from a research team at New York’s Mount Sinai hospital led by Rachel Yehuda stems from the genetic study of 32 Jewish men and women who had either been interned in a Nazi concentration camp, witnessed or experienced torture or who had had to hide during the second world war. They also analysed the genes of their children, who are known to have increased likelihood of stress disorders, and compared the results with Jewish families who were living outside of Europe during the war. “The gene changes in the children could only be attributed to Holocaust exposure in the parents,” said Yehuda. Her team’s work is the clearest example in humans of the transmission of trauma to a child via what is called “epigenetic inheritance” – the idea that environmental influences such as smoking, diet and stress can affect the genes of your children and possibly even grandchildren. The idea is controversial, as scientific convention states that genes contained in DNA are the only way to transmit biological information between generations. However, our genes are modified by the environment all the time, through chemical tags that attach themselves to our DNA, switching genes on and off. Recent studies suggest that some of these tags might somehow be passed through generations, meaning our environment could have and impact on our children’s health. Other studies have proposed a more tentative connection between one generation’s experience and the next. For example, girls born to Dutch womenwho were pregnant during a severe famine at the end of the second world war had an above-average risk of developing schizophrenia. Likewise, another studyhas showed that men who smoked before puberty fathered heavier sons than those who smoked after. They found epigenetic tags on the very same part of this gene in both the Holocaust survivors and their offspring, the same correlation was not found in any of the control group and their children. 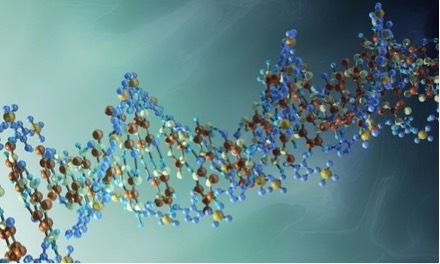 Through further genetic analysis, the team ruled out the possibility that the epigenetic changes were a result of trauma that the children had experienced themselves. “To our knowledge, this provides the first demonstration of transmission of pre-conception stress effects resulting in epigenetic changes in both the exposed parents and their offspring in humans,” said Yehuda, whose work was published in Biological Psychiatry. It’s still not clear how these tags might be passed from parent to child. Genetic information in sperm and eggs is not supposed to be affected by the environment – any epigenetic tags on DNA had been thought to be wiped clean soon after fertilisation occurs. However, research by Azim Surani at Cambridge University and colleagues, has recently shown that some epigenetic tags escape the cleaning process at fertilisation, slipping through the net. It’s not clear whether the gene changes found in the study would permanently affect the children’s health, nor do the results upend any of our theories of evolution. 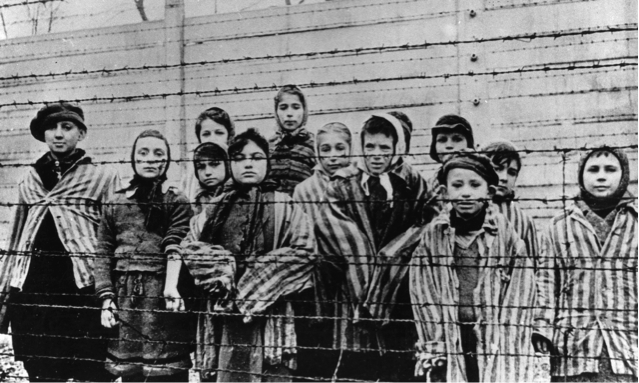 The impact of Holocaust survival on the next generation has been investigated for years – the challenge has been to show intergenerational effects are not just transmitted by social influences from the parents or regular genetic inheritance, said Marcus Pembrey, emeritus professor of paediatric genetics at University College London. Can you inherit a memory of trauma? Researchers have already shown that certain fears might be inherited through generations, at least in animals. Scientists at Emory University in Atlanta trained male mice to fear the smell of cherry blossom by pairing the smell with a small electric shock. Eventually the mice shuddered at the smell even when it was delivered on its own. Despite never having encountered the smell of cherry blossom, the offspring of these mice had the same fearful response to the smell – shuddering when they came in contact with it. So too did some of their own offspring. On the other hand, offspring of mice that had been conditioned to fear another smell, or mice who’d had no such conditioning had no fear of cherry blossom. The fearful mice produced sperm which had fewer epigenetic tags on the gene responsible for producing receptors that sense cherry blossom. The pups themselves had an increased number of cherry blossom smell receptors in their brain, although how this led to them associating the smell with fear is still a mystery.